Halfway between the mountains of the Majella and the Adriatic Sea, Lanciano was founded, according to the traditions, by Suleiman, a companion of Aeneas in 1181 B.C.. In fact, beyond the epic legend, recent archaeological finds attest the local presence of a settlements dating from the Bronze Age (XII-X centuries B.C.). During the Roman Empire, proclaimed "municipium" it played a strategic role of commercial and military importance, located along the connecting route between Rome and Puglia. Repeatedly sacked by the barbarians after the fall of the Empire in the VII century, it was rebuilt on the hill Erminio (Old Lanciano). In 700 in the church of the monks of St. Basil, took place the famous "Miracle of the Eucharist", which is still venerated in the church of San Francesco. At the time of the Norman conquest (1060), there were already three inhabited settlements on the three hills that today are the old town centre and which were surrounded by a unique fortified ring of walls. The Norman kings, at first, the Swabian, the Angevin and the Aragonese later, granted to Lanciano the status of "city state property" (not subject to any feudal lord, but under the direct rule of the King). In 1640 the town lost these privileges and was ceded by the Viceroy of Naples to the Duke of Castro Pallavicini and then to the Marquis d'Avalos. - the Basilica of Our Lady of the Bridge, called so because built on the old bridge of Diocletian. It was originally a small chapel built in the XI century, after the discovery of a Byzantine statue of the Madonna and Child. In the XIV century, in place of the chapel, a much larger structure was built that covered the entire bridge deck. Between XVIII and XIX centuries the church was completely renovated and designed by Eugene Michitelli. The façade features a forepart that consists of a portico with three lights, with columns topped by a balustrade of a terrace. 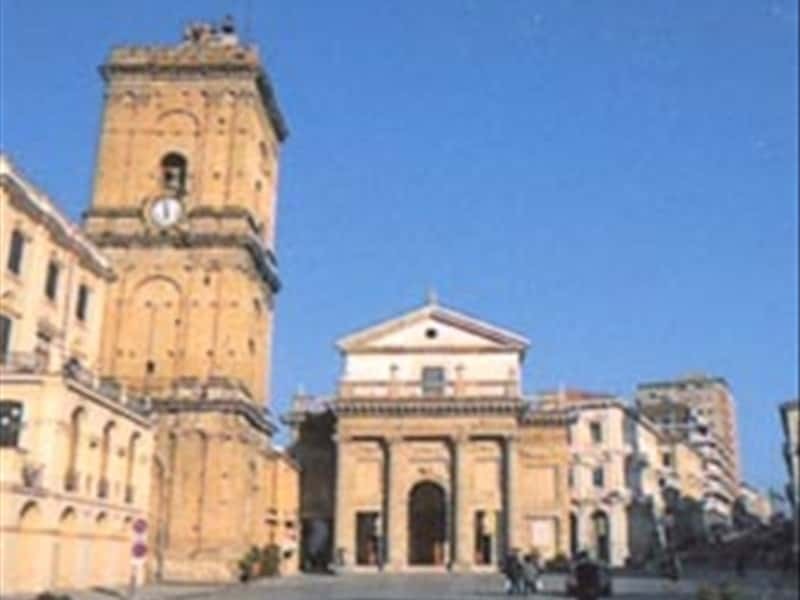 - the Church of San Francesco, built in 1258 in place of a previous structure dating from the VII century. Inside it preserves an altar, which features a shrine with the relics of the Eucharistic Miracle. - the Fountain of the Village and great Fountain of Civitanova. This town web page has been visited 20,877 times.